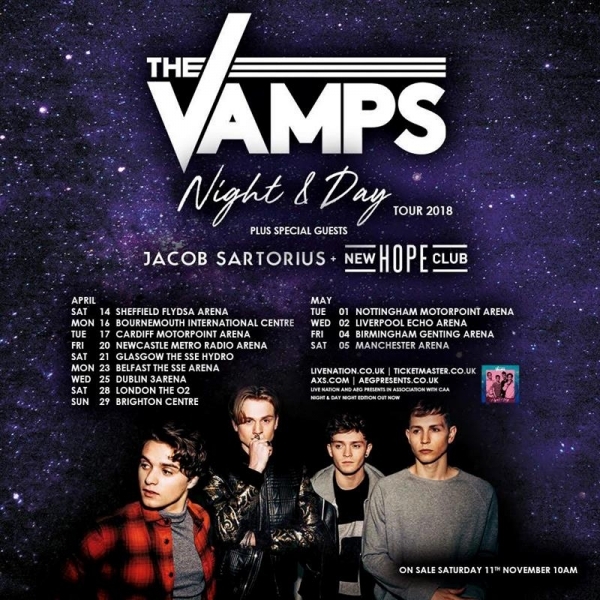 The Vamps performing their Night & Day Tour at The Motorpoint Arena Nottingham on Tuesday 1st May 2018. 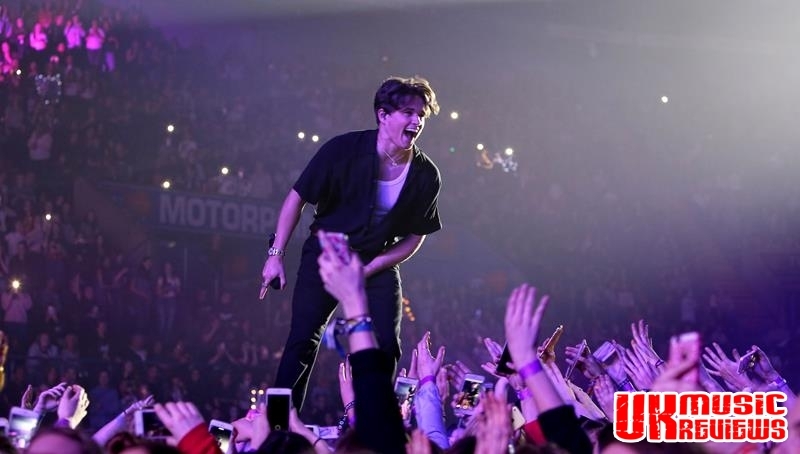 The Vamps came to the Motorpoint Arena last night to promote their third studio album, Night & Day and it was as if coaches filled with school girls had got lost and somehow ended up in Nottingham. 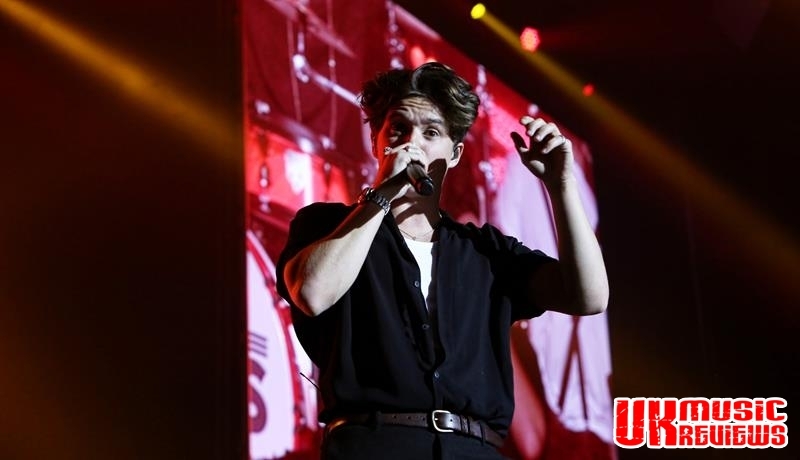 As the lights went down the decibels of the screaming crowd was almost painful, but that did not deter The Vamps’ army of loyal fans. 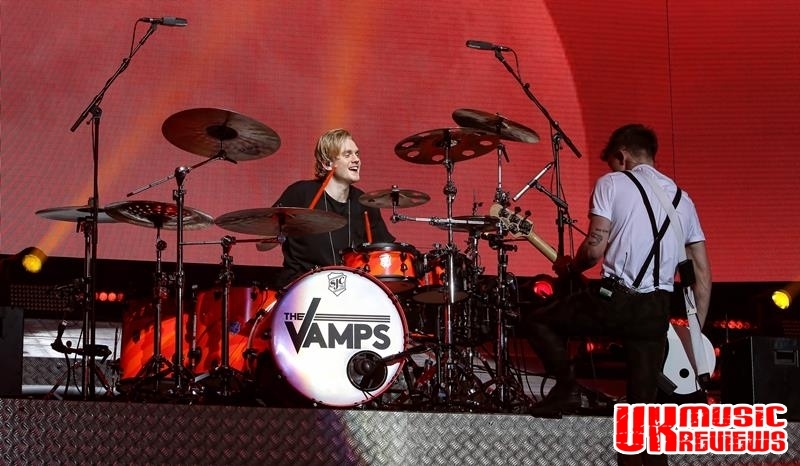 For the start all eyes were on drummer Tristan Evans, as he brought the stage to life with his florescent red drum sticks mesmerising the crowd as he pounded out a beat before front man Brad Simpson, guitarist James McVey and bassist Connor Ball joined him to really get the party started. 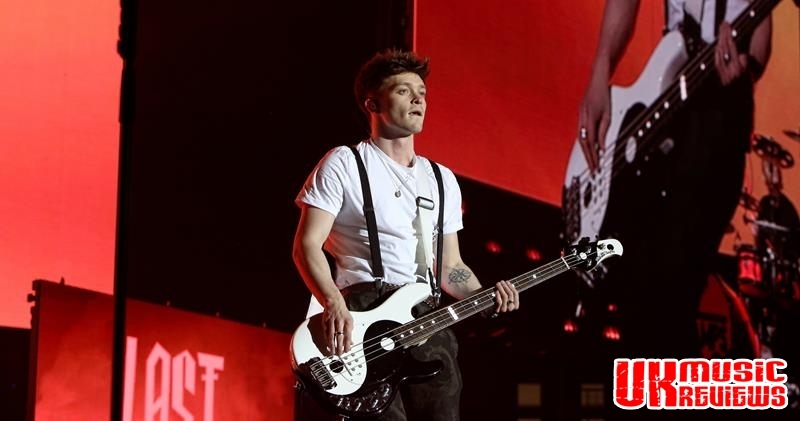 Not liking the term boy band because they write their own songs and play their own instruments, it is unfortunate that given the audience demographic, it is a label that they will find hard to escape from. 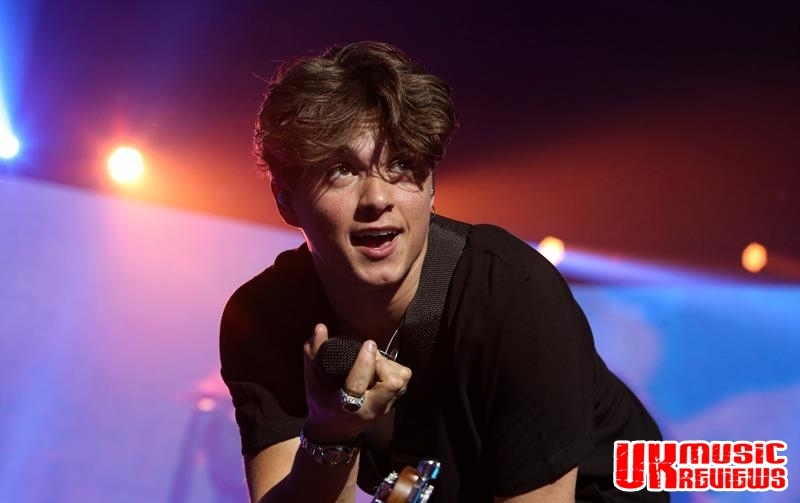 But The Vamps are a very talented tight knit band who are clearly having the time of their lives. Opening with Staying Up, they showed what they are all about as sparks and flares went off, sending their fans screaming with joy. With three large screens being used as a backdrop, they also employed a central shaped catwalk through the excitable crowd that nearly reached the other end of the arena. They delivered a set list that was packed with familiar tunes, with Last Night and the insanely good Can We Dance, both from their early days featuring at the start of the show. Sandwiched between them was a high energy version of new song Shades On. 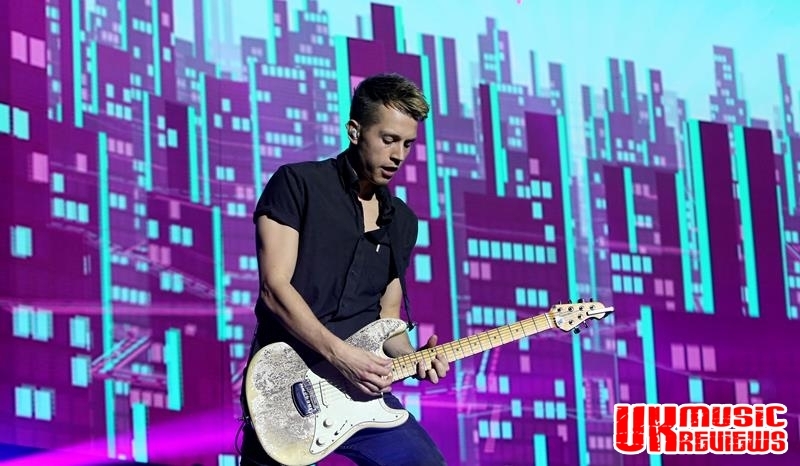 Other songs from their latest album included Middle Of The Night, Just My Type and Hands were very well received and even if the crowd didn’t know the words, they just swayed and screamed along to them. Special guest Maggie Lindeman linked up for a couple of collaborations with them and Personal and her own top ten hit Pretty Girl went down a storm. There were fireworks and ticker tape and as Brad used the runway to interact with all their fans, the screams could have removed the roof. 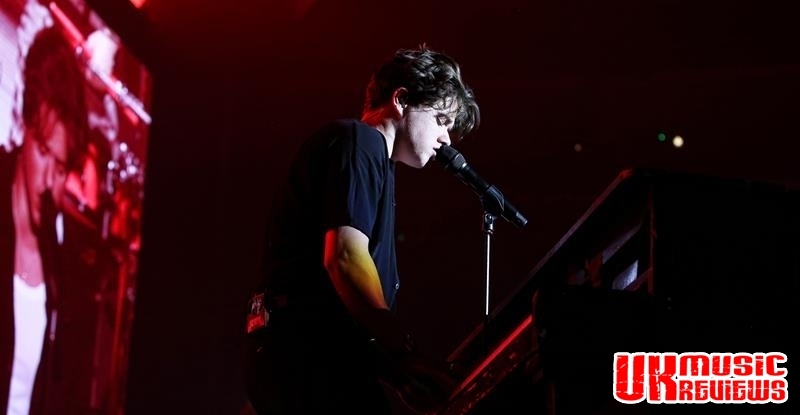 There was a drum off between Brad and Tristian before they finished the main set with a stripped back version of Cecilia which was beautifully performed. 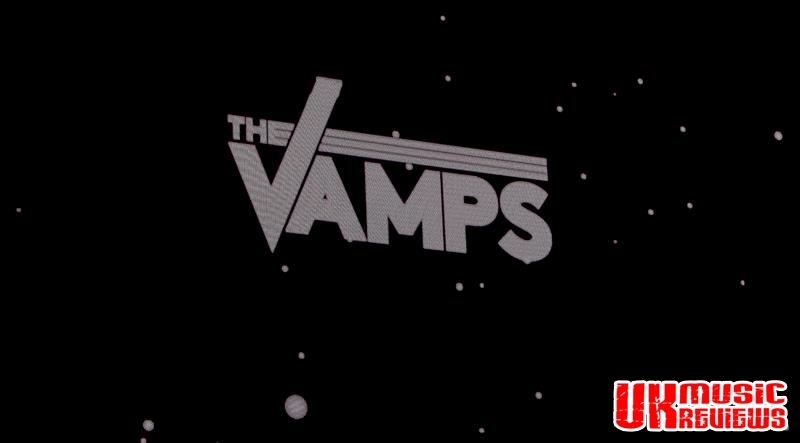 The Vamps played a big encore with the lights going black and then the screen suddenly lit up as they re-emerged to play Wake Up and Same To You. The very last song of the night was All Night, delivered amidst a shower of red and blue ticker tape, which sent the hoarse but happy teenagers home. 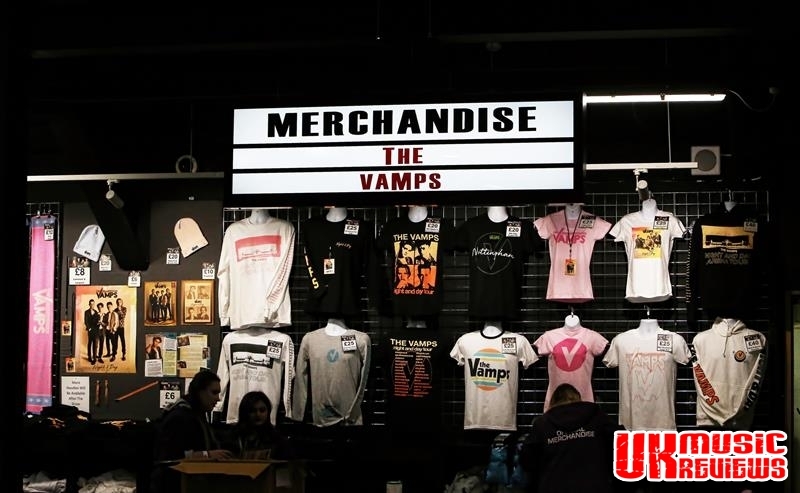 From their humble beginnings five years ago when very few knew their name, The Vamps have most certainly crossed the generations with tunes you’ll catch yourself singing hours later, regardless of how young you are.